One of the biggest mistakes I always try to keep parents from making when sleep training is separating nap and night training from one another. Some popular sleep training methods even advocate for doing nights first, then days! As you can already tell, I have strong feelings about the correct way to approach this. Read on to discover why it’s important to sleep train for naps and nighttime at the same time. Then check out my training programs if you feel like you need support with sleep training your little munchkin. Why Sleep Train for Naps and Nighttime at the Same Time? I often come across families who are trying to train for nighttime sleep only. This usually happens for a few reasons. 1) The parent is unwilling or unable to keep their child home for naps during the day. 2) The child is in daycare and the baby’s caretaker is unable/unwilling to implement the training program during the day. Or 3) The parent is under the impression that tackling one thing at a time (in this case nighttime sleep before nap sleep) is going to be easier, and that naps will come later. There are only a few situations I am unable to work with a client, and one of the most common is when parents are unable to train for naps and nights at the same time. Since the real issue with sleep training is an inability to fall asleep unassisted for naps and bedtime, causing the child to need help to complete their short naps and fall back to sleep throughout the night, it’s imperative that the child is able to learn to fall asleep on their own for all their sleep periods in a 24-hour period. What If I Don’t Do It At the Same Time? If you assist your child to fall asleep in any way during the day (rocking, holding, feeding, pacifier, swaddle, anything other than being put down flat on their back, awake in a crib by themselves) then they will not be able to consistently put themselves to sleep for bedtime and throughout the night. Nap training is typically harder and takes more time to work itself out than night training because at night your child has the added help of an upped dose of melatonin (the sleep inducing hormone) to aid them in falling asleep. This is why I tell my clients to expect nighttime sleep to improve in 3-4 nights while naps can take up to 2 weeks. 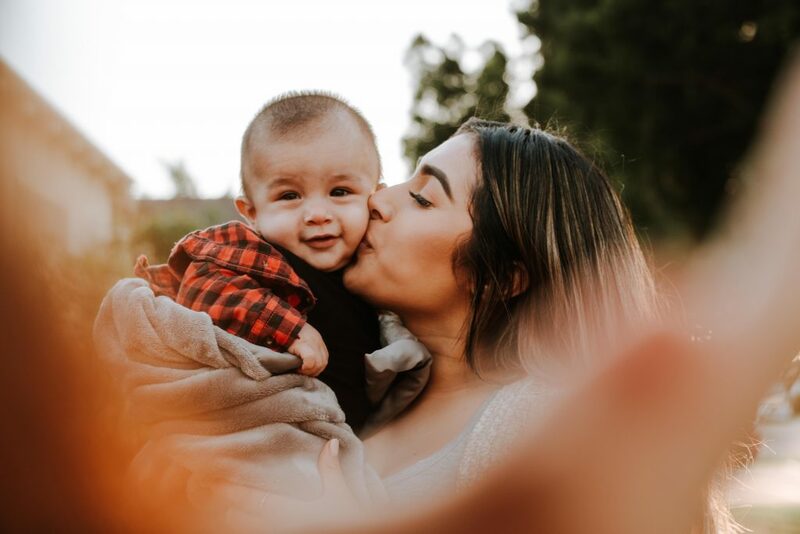 Tackling night and daytime sleep at the same time is less confusing for baby who may not understand why you are willing to help them fall asleep during the day, but are unwilling to do the same things at bedtime and throughout the night. Do your baby and yourself a favor by starting sleep training at night, followed by nap training the next day. You’ll thank me later! 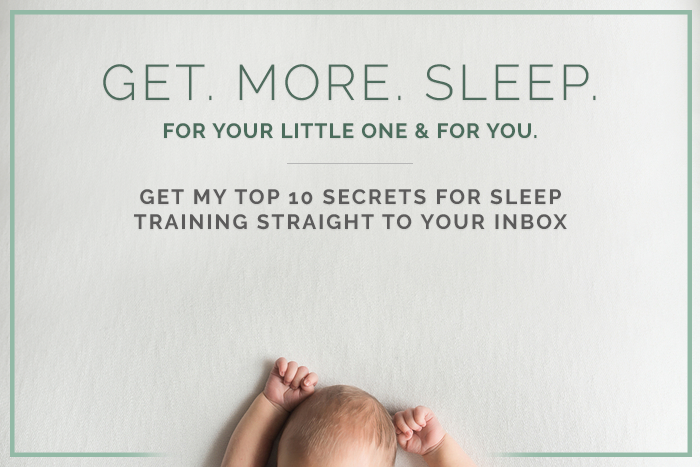 And if you’re looking for a tried and true sleep training method, which includes age-appropriate schedules, FAQs, my book and much more, please check out my programs. I bought your book and have been following your method on my 4 mo son. We started sleep training him about 3 weeks ago. We didnt have your book at that time, so we tackled night training first. He was doing fairly well. Slept thru the night mostly but had a few nights when he woke up at night. On your advice, a week ago we started nap training. He had a few wonderful nights, but started at an inhome daycare last Monday (4 days into the nap training). The caretakers were unwilling and unable to follow thru with the training. The sleeping room was very bright, no white noise, toddlers/babies sleeping together. They had to rock him to sleep and that was killing us, but they looked at us as if we had 3 heads for asking them to let the baby cry! We pulled him out of daycare after 3 days and hired a nanny. We restarted the nap training and will be on top of the nanny to make sure she follows thru with it(I work from home, so it is easier). You mention in your book that nap training takes up to 2 weeks. I will be honest and say that, especially on the weekends, my family cannot be home all day for training, so at least one of the naps will have to be in the stroller. The other two in the crib for sure. I have a few questions if you don’t mind.. 1. would one ocasional nap a day in the stroller really impact the training? After training is concluded, can we resume taking him on stroller walks more regularly? It is easier to keep him at home now because it is cold, but when it starts warming up, it will be difficult. 2. Also, to set expectations, what do you consider a “nap trained child”? Is this a baby that goes down to the crib and sleeps without a peep every time, or is a 2-3 mins fussing sometimes okay?